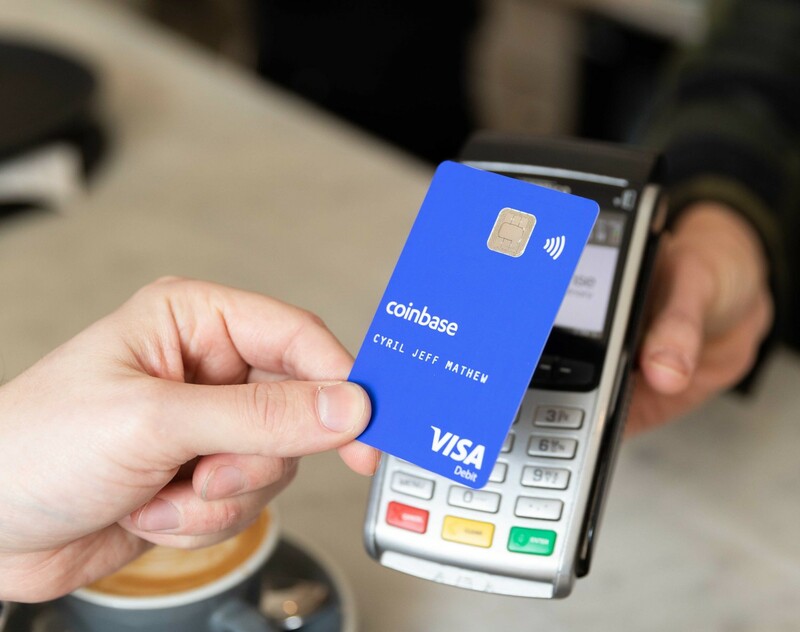 Coinbase, a small cryptocurrency exchange is launching Coinbase Card, a Visa bitcoin debit card in the UK, letting users pay with bitcoin, ethereum and litecoin. Coinbase says that the card, which will convert crypto coins to pounds, can also be used to withdraw money from ATMs. A related app will let customers decide which digital currency to use. “Coinbase Card supports all crypto assets available to buy and sell on the Coinbase platform, meaning they can pay for a meal with bitcoin, or use ethereum to fund their train ticket home,” says Zeeshan Feroz, the head of Coinbase UK. It’s the first card of its kind in the UK, according to the company. It will roll out in other European countries soon. The Coinbase Card announcement comes as bitcoin prices are emerging from a lengthy slump. Bitcoin (XBT) jumped above the $5,000 level earlier this month for the first time since November. Experts say the price spike is likely to attract new investors. It could get a further boost as companies like Coinbase, which lets users trade cryptocurrencies and store them in digital wallets, makes digital coins easier to spend. A similar card that allowed users to draw from Coinbase accounts was previously released in the US by Shift Payments. It has since been shuttered, though Shift — which now goes by Apto Payments — is a partner on the UK venture. In Europe, one deterrent to greater adoption may be hefty fees. There is a 2.49% fee per transaction in the UK. That goes up to 2.69% per transaction elsewhere in Europe, and 5.49% in countries further afield. Most Visa cards issued by banks don’t charge any fees for transactions in their home market.